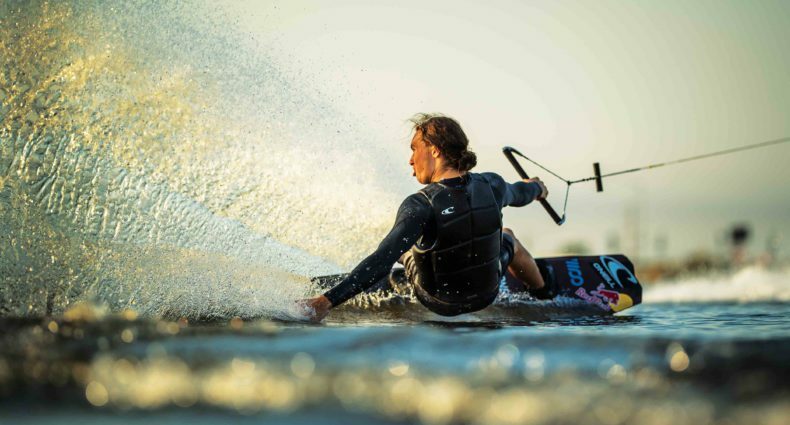 Here’s a quick video Collin Harrington shot with Mike Dowdy this summer for a Tige MyWake video contest submission. The whole video was shot in only two sets. One set we shot with a GoPro and B roll and the other was straight up hammer time. I don't get how he does it… Those double flips are so cool especially from that angle. Pretty mind blowing stuff he can pull off. When you have to stop your 9s to keep from going to 10, there are some laws of the universe being broken. The space-time-continum is forever ruined…thanks dude. w2w bs 10s and dbl flips. dowdy and new xstar bringing in the future… is darin shapiro gonna make up some new stuff too?!?! I'm almost positive that's a G23 and not an Xstar but either way…MIND BLOWING HAMMERS. Sicks ridding and great little edit! sick edit collin and rad riding mike, what was the song?